I’m quite happy with the results of both of these sites. Though they were designed a couple of months apart, the vision each of the artists the sites were built for was somewhat similar, resulting in a couple of sleek, photographic websites. 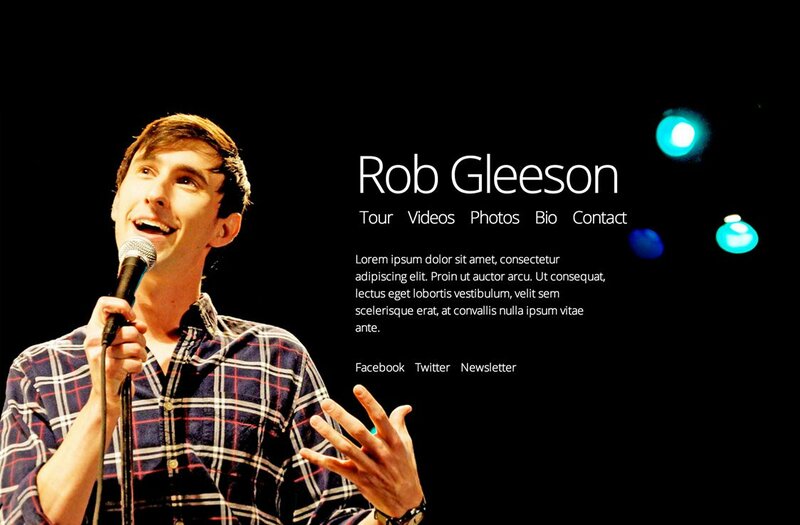 Rob was looking for something quite different from the last site we created together, which was more of a funky, grungy thing with lots of links and information about his tour dates and social media all over the place. This time around, it’s just simple photos of him doing what he does, videos highlighting his recent break throughs into Hollywood (he’s starred and made guest appearances on several television shows, but you may have seen him most recently on Conan or as Will Arnett’s assistant via AT&T commercials). Responsive, integrated with Open Graph and Twitter card support, all the good stuff. 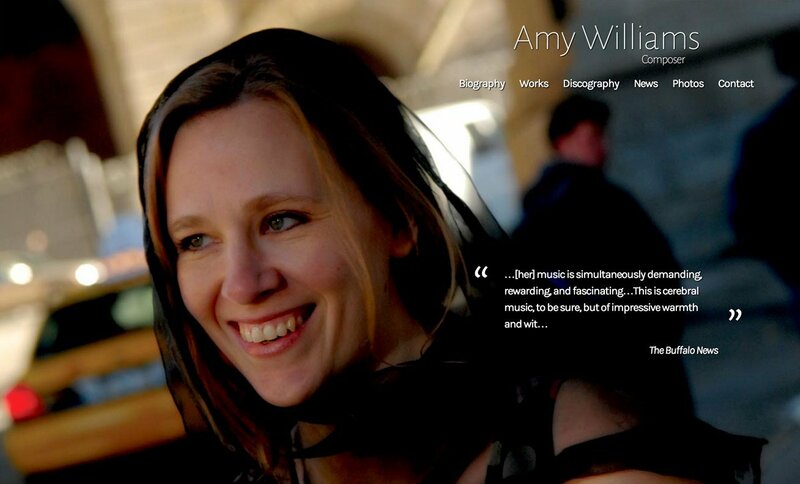 Amy approached me a few years back to help make some updates to an older site she shared with another composer. This time around it was all about having her own work shine through. The site features samples of her work and links to purchase it on Amazon. Take a look at both sites and congratulations to both of these artists for their ever-increasing success!